History and the good old days live on in this region, between friendly towns and villages, and all along the scenic country roads that lead to fun attractions. Here, you&apos;ll find New York&apos;s largest state park, museums dedicated to heritage and humor, and delightful lakes to dip into for your favorite summertime pleasures. But, with heavy lake effect snowfall, some of the best autumn colors in the state and wineries that celebrate the grapes grown along Lake Erie, you&apos;ll find much to amuse and delight you, both indoors and out, all year long. Holiday Valley Resort is a year-round destination, with something for everyone. There is shopping year round and you can ski and snowboard their exciting terrains in winter when lake effect storms drop inches of snow. In the summer try mountain biking; tubing; play 18 holes of golf; challenge yourself on the zip lines, tree platforms and bridges of the four-acre Aerial Park. Maybe you&apos;d prefer to pamper yourself in at the Falling Waters Spa, or soak up the rays by the pool? Check the seasonal schedule for Festivals, Ski Racing Championships, live dinner theater events, Mudslide Trail Runs and more! If you&apos;re staying for a while (and why wouldn&apos;t you? ), historic Ellicottville offers four blocks of fun, from shopping to places to dine and have a cocktail or a craft beer. Take a scenic drive - just a couple miles east of the village there are two places where you can drop a few steps back in time. At The Birdwalk Restaurant and Antiques Shop, enjoy ‘made from scratch&apos; meals in a restaurant that was originally a 1840s farm; today, many of the antiques that adorn the rooms are for sale. The Ellicottville Country Store and Antiques Shop carries unique gift items, as you might imagine, plus there&apos;s an Antiques Gallery upstairs with several dealer booths to explore. Leave enough time for browsing, and have some breakfast (try their famous Eggs Benedict) or lunch in the diner next door. Speaking of lunch or dinner, you could also enjoy your meal with handcrafted beers - and take a brewery tour too - at the Ellicottville Brewing Company. Check their calendar for special events and festivals too. 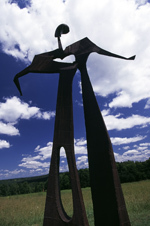 Less than ten miles north of Ellicottville, Griffis Sculpture Park is an artistic, outdoor wonderland of towering and low-to-the-ground metal creations, and it&apos;s definitely worth a visit. You never know what you&apos;ll see as you round the next meadow or forest trail. Feeling lucky? 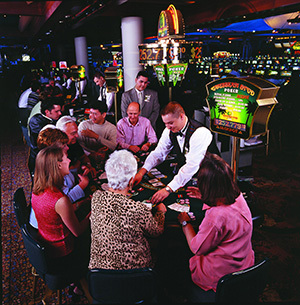 Casino Player gaming magazine named the Seneca Allegany Casino & Hotel one of the Top Three "Native Northeast" casinos in ten categories: First Place for Best Rooms, Best Suites and Best Comps; and additional awards in other categories, such as Best Overall Gaming Resort. Known for its primitive, forested valleys, wildlife, autumn leaves and glorious landscape, Allegany State Park is the largest in New York. It&apos;s a year-round destination for all things outdoors: it boasts some of the best trails for skiing, snowmobiling, cross country skiing and mountain biking in the entire northeast, but the pleasures don&apos;t end there. You can swim, kayak, go horseback riding, fish, hunt, watch birds, picnic and more. Camping is popular, with hundreds of campsites and cabins, year-round vacation cottages, and even group camps. Most park activities are accessible to disabled visitors. Ready for some laughs with your history? You&apos;ll chuckle all the way through your day while viewing sets, costumes, props and more from the I Love Lucy show. Visit The Tropicana Room, and view Lucy and Desi memorabilia at the Museum, including never-before-seen footage. 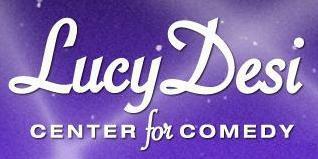 You&apos;ll find all this, and more, at the Lucy Desi Center for Comedy in Lucy&apos;s hometown, Jamestown. The chief pilot and owner of Sky Sail Balloons was trained in Albuquerque New Mexico, the undisputed world capital of ballooning - and all the pilots in command are FAA Certified Commercial Balloon Pilots - so go up, up and away and enjoy the views! Long Point State Park on Chautauqua Lake is beloved by fishermen because the muskies are noted for both their "fight" and their size (often more than 30 inches). Swimming, boating and, in winter time, cross-country skiing, snowmobiling and ice fishing are more good reasons to visit. The Athenaeum Hotel at Chautauqua Institution offers fine dining and a 200-foot long porch - with rocking chairs - where you can complete your study of Chautauqua Lake&apos;s peaceful summertime beauty. Or, book a three-hour cruise aboard The Chautauqua Belle: if your timing is right, you may even enjoy one of their concert cruises or another special event. Lunch or cocktail hour cruises on the water? Yes, they have those, too. A visit to the Lily Dale Assembly in Cassadaga might give you some answers. Get a private reading from a registered medium (available year-round), attend summer lectures or classes, or just enjoy a stroll around this peaceful community near Cassadaga Lake. If you were to begin your day in Silver Creek, and drive straight to Ripley, it wouldn&apos;t even take an hour. But, lingering along the way to sample local wines, enjoy the vineyards and lakefronts views, and perhaps even have a bite to eat? That&apos;s a definite day trip - or a weekend getaway! No matter how long you meander, you&apos;ll gain a deep appreciation for the growers and winemakers along the southern shore of Lake Erie. There are 30,000 acres of grapes and 24 wineries in Lake Erie Wine Country, which runs from the Pennsylvania border to Silver Creek. You could even take a bike tour (or hire a limousine driver), and do check the schedule for special events and festivals held throughout the year, too. Want to learn more? Add a stop at Westfield&apos;s Grape Discovery Center en route.